The Maldives Islands lie in the Indian Ocean just south of the tip of India and are made up of more than 1,200 coral islands of which only 200 are inhabited. Throughout the islands, there are over 70 spectacular holiday resorts offering first class service, spas and fine dining. This island definitely places the emphasis on quality over quantity. A top reason for spending your honeymoon and holidays in the Maldives is for the seclusion and isolation you can experience. Despite being private, hotel resorts in the Maldives are far from lacking. Most luxury hotel resorts on the islands have spacious air conditioned rooms, 24 hour room service, ivory white beaches lined with palm trees, spa and massage facilities, freshwater pools and fully equipped gyms. The resorts also immerse you in nature. You will be entertained by golden sunsets, breathtaking sunrises and the symphony of the calm waters around you. Another reason for spending your honeymoon in the Maldives has to be the world class cuisine which is offered at many resorts throughout the islands. Most resorts have gourmet buffets and at least one onsite restaurant. Some resorts have as many as six restaurants to choose from where you will be left spoilt for choice. The cuisine varies from everything from fine selections of fresh fish to curries. The beautiful setting combined with delicious food makes Mauritius a very hard honeymoon destination to beat indeed. 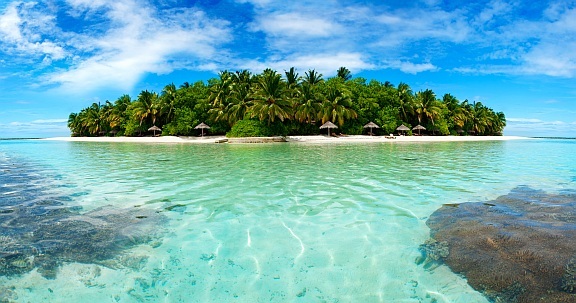 The third reason to spend your holidays to the Maldives is to enjoy the sparkling sandy beaches and sun. Sun worshippers will love the picture perfect beaches where you can easily spend the day soaking up the rays and relaxing. Maldives holidays offer visitors the chance to go snorkelling and scuba diving, or do absolutely nothing but read a book under the azure blue skies whilst sipping on cocktails. 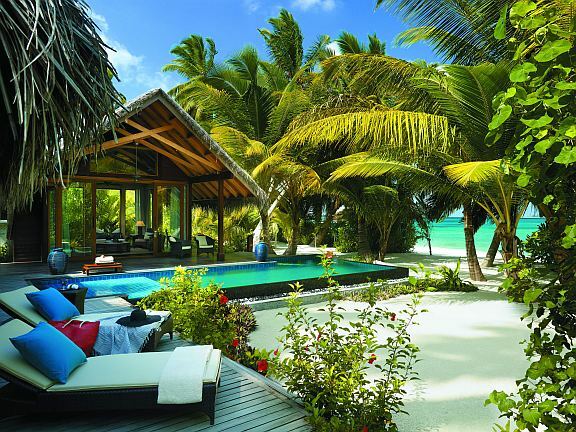 Many luxury resorts have beautiful coral reefs just metres away from them in private lagoons. These lagoons are perfect for basking in the water or going for leisurely swims and snorkelling. 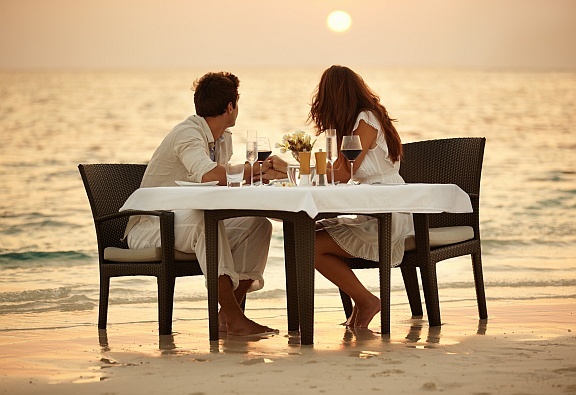 The fourth reason to choose the Maldives as your ideal honeymoon location is for romance. You and your partner will benefit from the sheer romantic setting of the Maldives. Enjoy quiet times walking on the warm sandy beaches and picture yourselves taking sips of fine wine as you dine watching the sun set on the horizon followed by warm dips in private lagoons under the moonlight. Author: This article was contributed by Sandra Jones, a travel writer who visited the Maldives for the first time in 2012 with Western & Oriental.